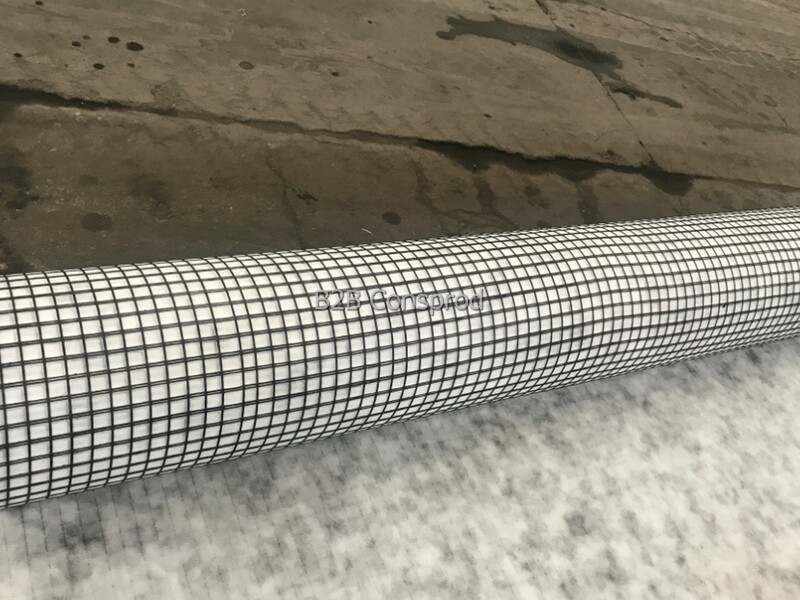 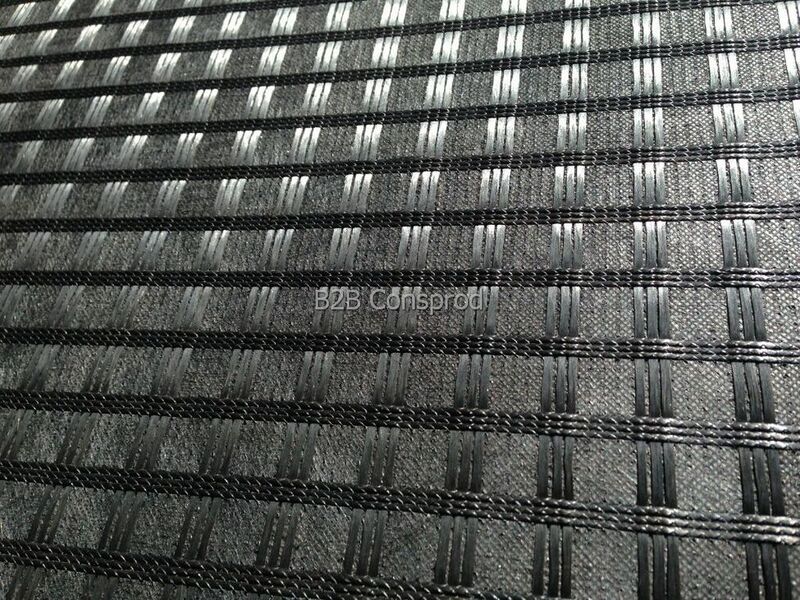 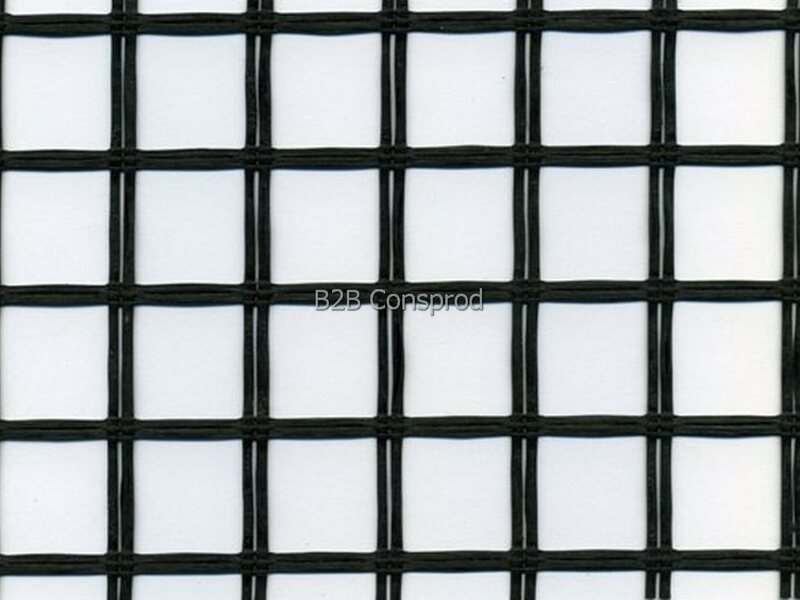 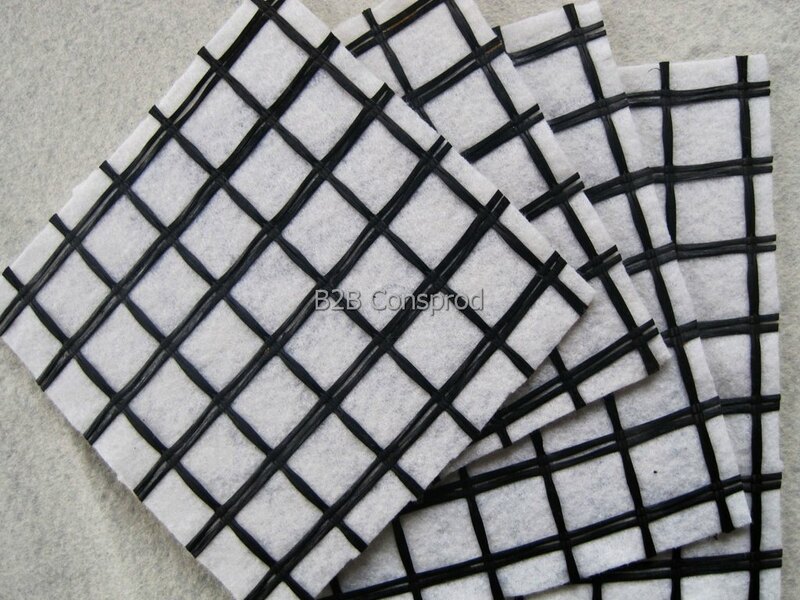 Geocomposite with high breaking strength in both directions, with high elasticity, made of a glass fiber knitted grid with bituminous cover and a nonwoven polyester geotextile, fixed of geogrid by gluing and pressing. 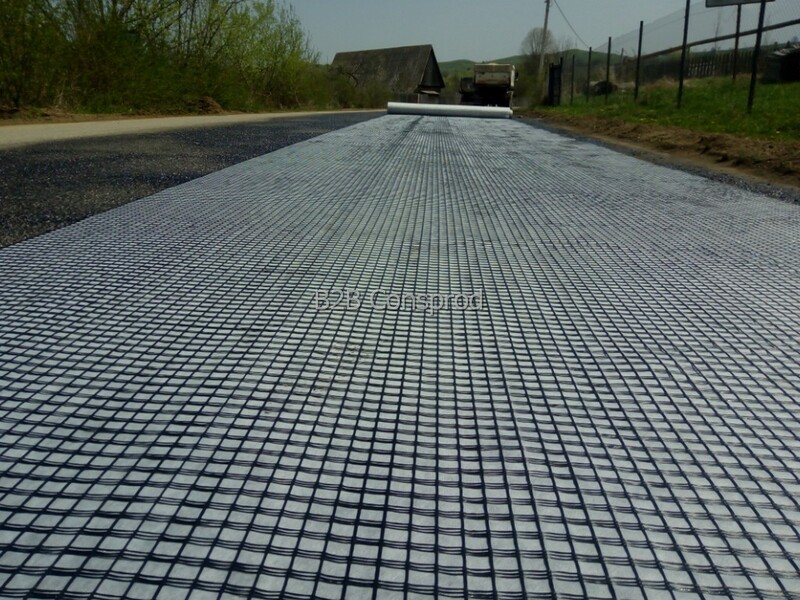 • reinforcement in road works, streets, highways and airport lanes, parking and unloading ramps. 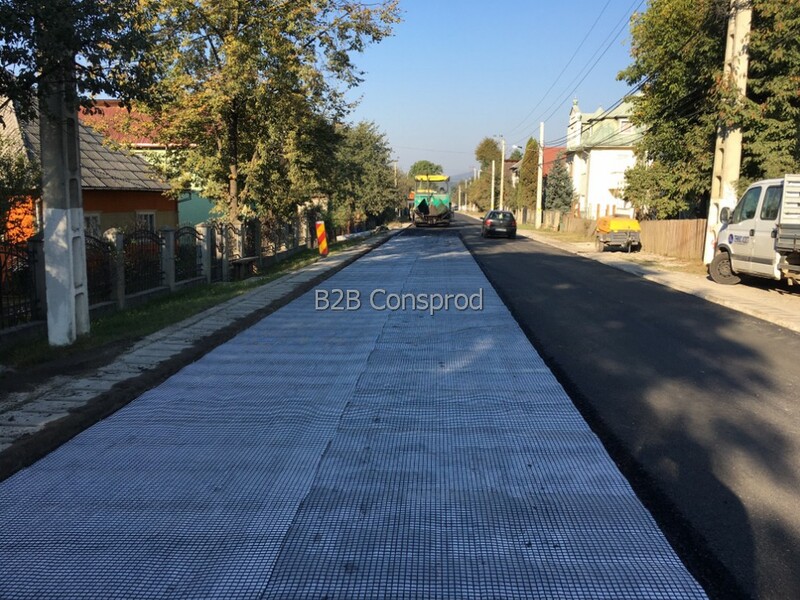 They will be used according to the provisions of the construction projects and especially on the roads with traffic ≥ 1.0 m.o.s., per lane, for a 10-year perspective.